Infrastructure Victoria has today called for better integration of land use and transport infrastructure and more targeted regional infrastructure initiatives to help the state reap the benefits of its unprecedented population growth. Releasing a discussion paper titled Growing Victoria’s Potential, the independent infrastructure adviser said Victoria’s record population growth could deliver great outcomes for the entire state, as long as it was properly planned for. “Victoria has a transformational opportunity to harness the potential of its population growth and thrive in an increasingly competitive global market,” Chief Executive Officer Michel Masson said. “Realising this potential will take careful planning and an open conversation about how and where Victoria grows. “Over the next 18 months we will be updating Victoria’s 30-year infrastructure strategy to identify projects, policies and reforms that maximise the opportunities and mitigate the challenges of population growth. 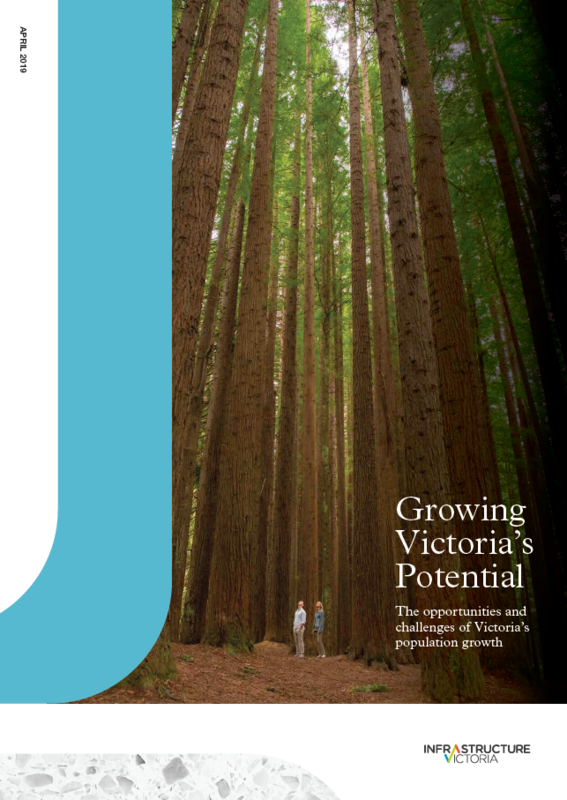 It has been released along with detailed regional and metropolitan profiles outlining the unique strengths and challenges in different parts of Victoria. The profiles were developed through a year-long process of data gathering and consultation with regional stakeholders. Mr Masson said planning for growth required honest conversations on some complex issues because decisions about infrastructure would all come with trade- offs. “If we want to increase infrastructure service levels, then we need to think about the level of density that will be required to support it,” he said. “If we want to grow our regions, then we need to talk about the unique strengths each region has and the challenges they face. “We know that when it comes to infrastructure, we can’t do everything and we can’t do it all at once, so we need to consider the benefits, impacts and costs of all the available options in order to prioritise what we need to do where, and when. “Through our work we will continue to look at how we manage demand and how we get the most out of our existing infrastructure because we know that adding new infrastructure will only ever be part of the solution. “Over the next year, we will talk to people right across the state about how infrastructure can help grow Victoria’s potential and I encourage everyone to join the conversation,” Mr Masson said. To read Growing Victoria’s Potential, the regional and metropolitan profiles or find out more about the 30-year infrastructure strategy update, visit infrastructurevictoria.com.au.